A Swedenborgian Bible G. E. Bentley, Jr.
Cover: William Hogarth, “The Rake’s Progress,” plate 8. Courtesy of the Huntington Library and Art Gallery. G. E. BENTLEY, JR., University of Toronto, is working on Blake Books Supplement, illustrated English Bibles 1530-1830, and the publishing career of Robert Bowyer. ROBERT F. GLECKNER’s most recent work on Blake includes Blake and Spenser (1985) and (with Mark Greenberg) Approaches to Teaching Blake’s Songs of Innocence and of Experience (1988). In press is an edited volume of Critical Essays on Lord Byron; in process is a book on Thomas Gray and the two Miltons. GARY HARRISON, Assistant Professor of English at the University of New Mexico, has published articles on Wordsworth. He is presently completing a book on Wordsworth and the spectacle of poverty in the late eighteenth and early nineteenth centuries. 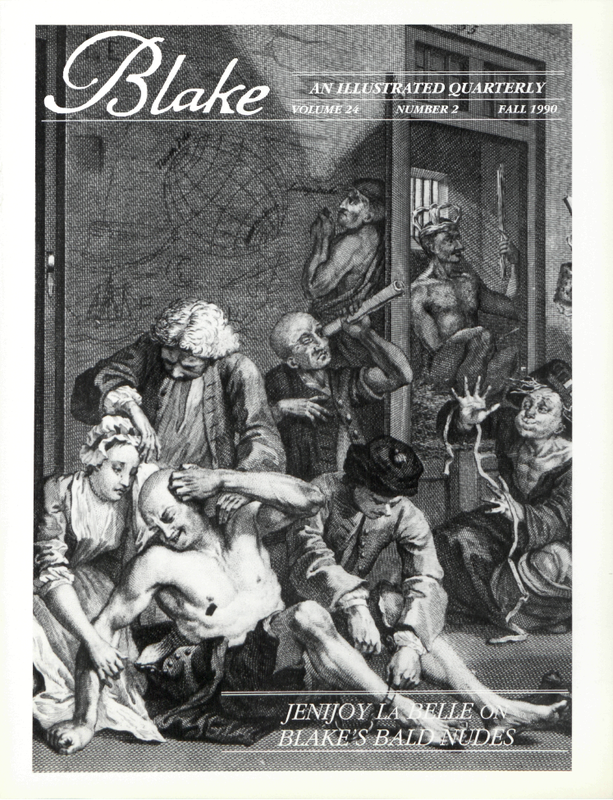 NELSON HILTON is Review Editor for Blake. SANDRA KAMUSIKIRI, Assistant Professor of English at California State University at San Bernardino, is currently working on an article on Blake and Phillis Wheatley, and a booklength study on the sublime in eighteenth and nineteenth century African-American literature. JENIJOY LA BELLE is Professor of Literature at California Institute of Technology. Her most recent book is Herself Beheld: The Literature of the Looking-Glass (Cornell UP).